After a nice, long visit with family friends, we stopped by target at Orange Beach to fill the fridge this week with a few staples and fruit. While there, I wanted to spend $50 before coupons so we could submit for the Kraft Full Plate Rebate. Without a shopping list (a rarity for me) it took me a good hour to fill up the cart! My shopping "list" was my coupons. So I was trying to buy for the coupons that I had. It was not fun. So even if I have to sit in the car for 10 minutes to organize a quick list I will definitely do that next time. Hubby and the kids found the magazine/books section and entertained themselves. 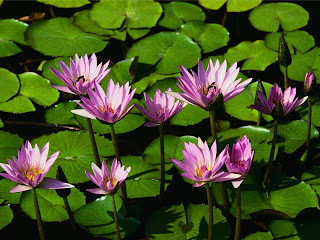 I was free to wander up and down the aisles praying, "Oh God please help me find what I need so I can get out of here." (A real struggle on my own at an expensive store like Publix.) But we still made out ok. 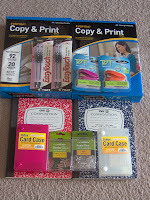 I paid $36.32 using $24.39 in store and manufacturer coupons. We would have spent $79 before sales and coupons. And after getting $10 back for the rebate, our savings is 67%. 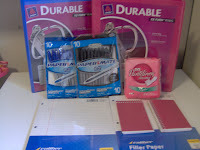 I paid $11.16 for these items to get the Kraft $10 Rebate. So it will cost me $1.16 after the rebate. Thanks Frugal Fairhope! (See their list of other Rebates here.) And I had no coupons for any of these but a coupon "fairy" left two $1 Parmesan cheese coupons. Thank you! 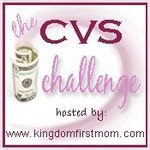 Visit Money Saving Mom for more CVS Deals or Keeping The Kingdom First for other $5 Scenarios! Total Cost of Goods: $40.85, Total Out-of-Pocket $4.85, no ECBs back. Every penny well spent! Since more and more of us are staying home for dinner, why not stretch the savings even more with delicious frugal fare. Visit $5 Dinners to see yummy dishes that are light on the wallet. 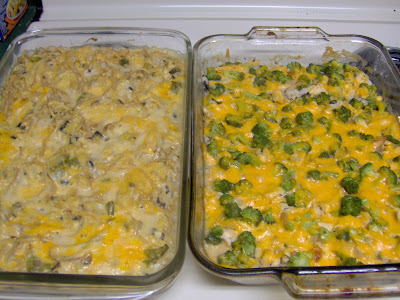 Here is a dish that's a family favorite: Chicken Broccoli Casserole. Using chicken breast and fresh broccoli is expensive unless bought on sale. I also learned how to make homemade cream of mushroom soup. It's only $4 for 4 servings if you use some staples in your pantry and buy the ingredients on sale this week. You can also price-match at Wal-Mart (click here for price-matches in Pensacola). Chop the mushroom as small as possible, mincing them. Heat up a medium saucepan and add 1 tbsp butter. Set on medium heat. When hot, add the mushrooms. Keep stirring them around until they "sweat" or get watery and turn brown. Set aside when this happens. In the same medium saucepan, melt butter over medium heat. Add the flour. Work quickly and mix into the melting butter. Add the milk gradually and stir as you pour it in. Keep stirring for a while until the sauce thickens. Then mix in the mushrooms and allow a gentle boil. Do not leave unattended because it doesn't take long for the sauce to boil over the pot! Use 9'x13' baking pan. Spray with Pam or other cooking oil. Sprinkle the chicken evenly on top. Pour the cream of mushroom soup you made. And sprinkle the cheese on top. Bake 350 for 30 minutes or until the cheese mealts. And there you have a very homemede chickne-brocolli casserole! Here it is on the right. The left is chicken tetrazzini. 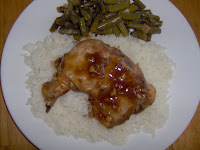 I posted last week's dinner menu. But I had a separate list for lunch in my notebook. We followed both in the sense I cooked the dishes even if they were served on different days. So this week I'll post a menu for both lunch and dinner. There are lots of chicken and salmon dishes because that was on sale. Check it out at the end of the week to see how we did and maybe even recipes and pictures! To see what other kitchens are cooking up this week, visit Organizing Junkie here. My trip to CVS this morning took a tad longer than expected. But it was still great. I was able to use $10 off $50 coupon I got last week from the price scanner. So be sure to scan your CVS card there each time to visit the store. You never know what coupons you might get. 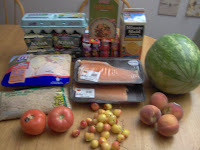 All in all, I spent: $18.21 on food and $0 on everything else! Plus, $24.81 ECBs. My total before coupons was $69. That's 74% savings before ECBs! *Note to Newbies: When I say FREE after ECBs (extra care bucks). the items are not really free until you spend the ECBs. So don't lose or forget them! And they expire in one month. Also, if you are using an EBT to purchase food, you must show them all the other coupons, including ECBs, before using the EBT. I learned the hard way and the cashier had to void everything out and start over. The food coupon savings are also subtracted from the non-food. That's why my EBT total was higher. The CVS I visited did not have the TLC soft-baked cereal bars. 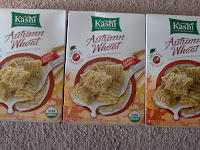 So, instead, I bought 3 Autumn Harvest Cereal. I only had 2 $1.50 coupons but that still makes 3 Organic cereal boxes for $2! If you have a Publix nearby, check out their Smart Summertime Savings. Plenty of high value manufacturer's coupons as well as store coupons in here are still good through August 31st. I found $1 off Dentyne here. The $0.55 off Mentos was from the paper. It expires July 31 so make sure you use it by Friday. 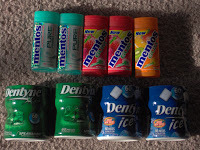 I know this is a lot of gum, but it helps me not eat too much junk food. Plus, after ECB, each candy is $0.36! Cheap antisuppressants. 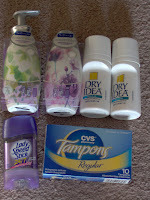 I saved 2 Dry Idea $2 coupons and had $1 CVS coupon for Lady Speedstick. Also, $2 off coupon for skin care printed in my receipt a couple of weeks ago. So I bought them and will donate them later. Softsoap Ensembles are also on sale. Buy the pump and get the base for $0.99. The Reinventing Beauty magazine has $2 off Ensembles and I had another $2 store coupon from my receipt. I stacked it with $3 manufacturer coupon from junk mail. So after coupons, both base and pump were only $2. There is a $1 coupon in the paper for Colgate toothpaste but not for toothbrush. Our region also did not get the $2 off Netrogena cosmetics. I could not figure out which Colgate was on sale so I ended up skipping it. And there is $2 off 2 BIC triumph print coupon. And my ECBs are expiring soon. So I'll go back to buy the Colgate and Bic plus some toilet paper. As I am writing this, it is only Saturday. I figure it may take me a couple of days to get my thoughts together since I have not written a post like this in a while. 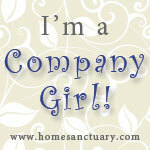 But my kids are taking a nap so I have a few moments of solitude to quietly ponder something besides dinner... stop! One of them just woke up! So much for serenity. My daughter has lost her first tooth on Tuesday. She's 6 and feeling like a real big kid. It's more like a dream come true. She's wanted to lose a tooth since 4. Of course this did not come as a surprise. Her bottom front teeth have wiggled and got wiggled for a couple of weeks. And as they've done dental dance routines with the help of my anxious child, I started noticing a gap in her teeth. Her soon to-be-replaced teeth started getting isolated from the others. The space started growing and now there is room for 4 baby teeth were there are only 2. And after one fell off, we could see the permanent teeth coming up behind it. Just the right size for the gap. This started to make me think. The new teeth needed space to grow. Even when it was yet invisible and not a thought in my daughter's mind (all she's thinking is losing the one, not gaining another! ), changes were taking place to accommodate the true accomplishment- getting permanent teeth! How often do we spend so much more time pondering what we are about to lose? All the while, God is making room for us to grow. He is working mightily behind the scenes. If we stop and explore for a moment we might find evidence of that work right around us. In our fervor, we devote attention to the urgent and miss preparing for the remarkable. I am really speaking to myself more than anyone else. As our family enters a new season, I find myself lost in all the changes. The familiar routine is greatly changing and all I want to do is hold on to whatever familiar is left. I haven't even given much thought to the positive things that these changes will have. So now that is said, that's what I plan to do today (Sunday). *Note: As I write this morning, my daughter just lost her other tooth. She is elated and keeps looking at her mouth in the mirror! I posted about the groceries earlier. So now I'll chat a bit about what we ate this week. First, please let me know if you are great at taking food pictures, because I'm not. I need tips! Anyway, besides photography, we did much better this week with food than any other time I can remember. It's not so much about the amount we spent but rather paying attention to how we spent and what we ate meant more wholesome meals and less food wasted. Plus, because I wanted to post some of our weekly progress, I tried harder to stick to the Menu Plan. Of course, I still did not do the dinner meals in order, but we've eaten most of what was listed. We were sick, except for hubby, and that's my excuse. So we had Chicken Adobo on Tuesday. No leftovers from that! 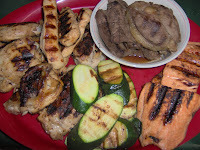 Wednesday , I went ahead and grilled chicken, steak and salmon. I used Mc Cormick Gril Mates that I got FREE from Winn-Dixie. 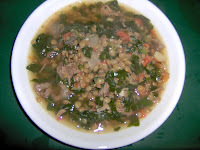 One night we had Lentil Soup. First I made beef broth with the bone from the steak and a package of soup bones. We split a 1/4 cow with some friends and I requested all the soup bones. The other families didn't want them. It turns out there is more meat than bones in some of them! So I used the meat bones for this dish. It is such a comforting soup! 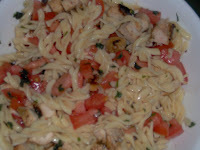 We also made Pasta Salad with the grilled chicken. And ate it for lunch Monday. I made some more later with the grilled chicken and served it as a side a couple of nights. And for tonight, I made beef stir-fry with leftover steak sliced into strips. I just added a splash of soy sauce and lemon juice plus onions and peppers. Then I stirred 2 teaspoon cornstarch into 1/2 cup beef broth and added this to the pan. 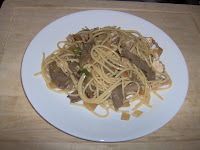 I made spaghetti for Thursday's lunch and saved some noodles for stir-fry. The photo doesn't do it justice it's really good. 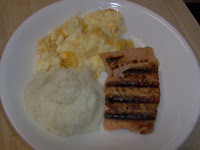 For lunch today we had grits, cheese omelet, and salmon. I'm sad to say that we'll be buying fish for a while. Since it's been too hot for fishing, we're going to eat more salmon while it's on sale for $2.99 at Food World instead. We'll see how next week will look. If anything I hope I'll learn to budget, plan and waste less because of this Grocery Challenge. They say it takes 21 days to form a habit and I only have 1 week to go before my new skills become permanent! I made two more small trips at Wal-Mart on Thursday ($10.26) and Friday ($6.33) for $1 sale items and bought all this including 8 boxes of granola bars! Saturday, another quick trip but this time to Food World. Since our Wal-Mart carries farm not wild salmon, I decided it was time to check out the improved Food World where it is actually on sale. We'll I don't know which is better because theirs is caught wild from China! Anyway, I also picked up 4 packages of split chicken breast and 1 of wings. The total came out to $25.44. So I like to let them watch Storyline Online by the Screen Actors Guild. I don't remember how I came upon the link but it' now a bookmarked favorite! They have many books read by actors young and old. 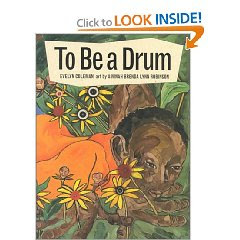 For example James Earl Jones reads How to Be a Drum. 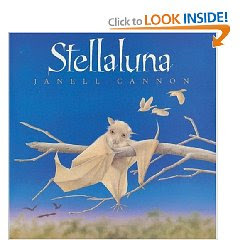 And our favorite, Stellaluna, read by Pamela Reed. The website loads up easily and you can view it in a full screen too. I have even picked up a couple of storytelling lessons to improve my own skills! *Please note, these pictures are from Amazon, so nothing happens if you click on the picture here. WOW! CVS will have some amazing deals this coming week. These ad scans are from I Heart CVS. Get these FREE after ECB! Buy at $0.99, Get $0.99 ECB. Limit 2 per line number below. Use $3Q from 7-12 SS to get this cheap or FREE! *Free with $1 coupon from Redplum! 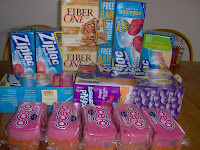 We made a quick trip to Wal-Mart for WIC after hanging out the bookstore across town. Total spent was $10.26 for 1 splurge drink (I'm still sick!) and 7 cereal/granola bar boxes. Check your Wal-Mart too. These sales may be on clearance nationwide! 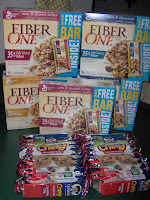 Even the Fiber One Cereals on the aisle and not on the end cap are also $1. But only the ones with the Bonus Bar are on sale. We bought a few since these are an easy snack to pack on the go. When we came home, I found 3 coupons for $0.40 each so I might go back and grab 3 more tomorrow. 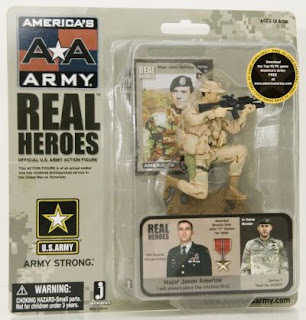 The Real Hero Program is a US Army initiative and includes an XBox game and action figures of 9 military branches. On Saturday July 28 from 4pm-7pm, bring the kids under the white tent at Sandshaker. They'll meet SGT 1st Class Brandon Adams who will be signing autographs and giving out FREE Real Hero Action Figures like the one below. He was awarded a Bronze Star with Valor for his service in Iraq. A graduate of Milton High School he is a local Real Hero! Read the complete article on Island Times page 5. Sandshaker is located on 731 Pensacola Beach Blvd. Please note that the Sandshaker is more like a pub than a restaurant. 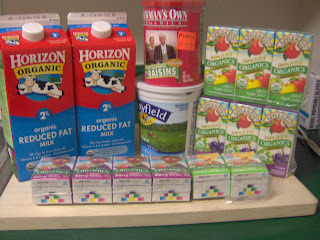 Today is Ultimate Recipe Swap at Life As Mom. And the dish featured is Salad! 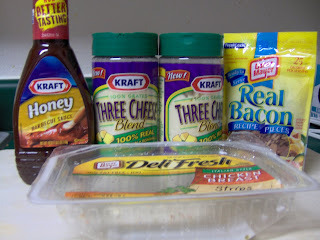 Here is a recipe I would like to share: Frugal Pasta Salad. Visit to get other great salad ideas! Pasta salad at it's most basic form needs only a few ingredients to be a great side dish. It can also transform leftover night into something more exciting. Use leftover meats including breakfast fare like boiled eggs and sausage links. Also, reserve a few pieces of raw veggies like a half of tomato from sandwiches or a few branches of broccoli from that stir-fry. This will build a great salad by the end of the week. Doesn't this reminds you of stone soup? Frugal Pasta Salad- Only $3! Just combine the ingredients and you are ready to serve! Any shape pasta can be used (not noodles), just cook al dente. Sometimes I make enough pasta for salad and another dish like mac n' cheese. Although lettuce would be great, using wheat pasta lets me sneak in some fiber and protein. I buy tomatoes on sale at $1/lb and cucumbers for $0.50 each. For meat, I usually use leftovers from the freezer or stir-fry. I like ham and marinated chicken the best. Dressing can be expensive but there are lots of homemade versions. My mother-in-law sometimes takes ketchup and vinegar mixed together for faux catalina dressing. How frugal is that! The struggle I have with participating in the All You Grocery Challenge is not so much the budget restriction. Rather it's the fact that someone is giving me a budget! So to keep myself in line, I am posting my shopping plan based on this week's sales. Scroll down the blog to see what the deals are. I don't think we need much since we just shopped at Wal-Mart on Sunday. My estimate is $24. I would price-match most items at Wal-Mart. The chicken breast and salmon have to wait until next week since I get another $100 budget starting Sunday. It turns out Wal-Mart carries farm raised and not wild so hubby will make this trip to Food World after work. Hmmm. Now that I have my top picks for meats and vegs I think I feel a menu plan coming on. So I might post this well in advance. This must be the break I've been waiting for. With my son and I being sick and then my daughter too, I've been getting more sleep and quiet. Also more blogging time since I can't really do nor do I want to do anything else! However, I usually price-match their sales at Wal-Mart instead of shopping there. Print their weekly ad if you plan to do this. Their ad is also printed this week in the paper. 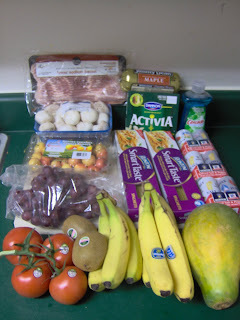 This week Food World and Greer's have great prices on meats while Publix has plenty of tropical fruit on sale. These prices were not BOGO so they can be price-matched at Wal-Mart! Save this Week's Winn-Dixie ad! They have locked-in low prices good until October 7. These sales may not be advertised in the next weekly ads so you will need to keep this week's for proof of sale prices! As part of my strategy to stay within budget for the All You Grocery Challenge, I'll be preparing a few favorite frugal dishes like Chicken Adobo. For our family of four, this dish cost only $3.20. Adding a side dish of green beans still makes it less than $5! I love Filipino foods but finding proper ingredients can be a hassle. And homesickness overcomes me so much so that for years I have avoided cooking my favorite dishes. Since I left home before my mother could teach me, I've relied heavily on childhood memories for taste and presentation. But I am not one to deny my children their heritage. So for lunch, I made Chicken Adobo. This must be the official Filipino dish. And there is as many variations to this dish as there are islands of the Philippines. Here is my version: Cost per serving - $0.80! Filipino dishes are made unique by the use of sauteed onions and garlic before addition of other ingredients. So, add the oil to your skillet and set the temperature on medium high. 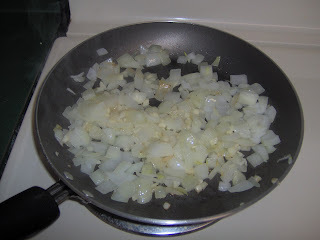 Put the onions in first and work quickly to saute it until it turns translucent. Add the garlic next instead of cooking together with the onions to avoid burning the garlic. And continue cooking until golden brown. When cooked, set aside in a small bowl or plate. Add the chicken next. 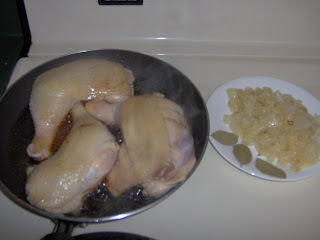 I often remove the back pieces and extra fat of the chicken leg quarters. These are saved in the freezer for making homemade chicken broth. Chicken wings and breast can be used too but the fatty leg pieces make this dish delicious. Braise the chicken by cooking it a minute on each side to seal in the flavor. Combine the soy sauce and vinegar with the onions and garlic. Pour the mixture on top of the chicken. Insert the bay leaves in between the chicken pieces. Allow to boil then cover and simmer for 30 minutes. Flip the chicken over so the top portion can absorb the liquid. Also, add the lemon juice and sugar. Leave the dish uncovered for 10 to 15 minutes. Adding sugar towards the end reduces the sauce, allowing it to caramelize. The dish is ready when the chicken meat starts to pull away from the bone. Chicken adobo is always served with plain white rice and a side dish of potatoes or green beans. For our lunch, I made green beans. To flavor the vegetables, remove the chicken from the skillet. Reserve 1/4 cup of adobo sauce and add 1/4 cup water to it. Return the sauce to the skillet. Add a 16 oz bag of frozen green beans. (I saved 1/4 of the bag for a dish later in the week.) Allow it to boil then simmer covered for 15 minutes or until the green beans are very tender. This dish is salty and slightly sweet. It is a true Filipino dish that will surely become a quick favorite in your household. As with any other stews, it tastes even better the next day. Also, this dish freezes beautifully. Enjoy! Want to see more frugal recipes? 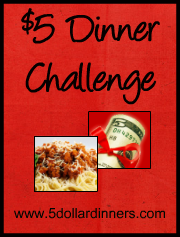 Visit $5 Dinner Challenge and feed your family for less!